The TR6060 makes an excellent upgrade when installed in in any 2005 to 2010 Mustang GT. The torque handling capacity will be be drastically increased to 600ft/lb. Unfortunately we will only be able to accept a TR6060 core on exchange. If you do not have a core to send back we will have to keep your core deposit and you will only be required to pay only one way for shipping. 2) Uses stock GT engine block and hydraulic bearing. Reduced friction in the shifter system courtesy of a new cam and no-friction plunger to control the side load shift detents. Forward and rearward shift detent grooves are broached on the front of the main-shaft with a spring-loaded anti-friction roller, for more precision control of shift detents and positive shift feel. Anti-friction ball struts, sintered hubs and fine-pitch splines on all synchronisers for reduced friction between components - delivering improved shift feel and reduced shift efforts. Wider, two piece gears with machined clutch teeth for more precise gear engagement and reduced potential for gear block outs. Every transmission has been run on a state of the art Dyno. A Dyno simulates the conditions encountered by a transmission during every day use. This ensures that when your part arrives it will have been rigorously tested for noises, leaks, vibrations and performance. Some transmissions have inherent factory flaws causing them to chronically break down. Through years of experience we have developed several procedures to help fix these problems. Every transmission has been built and inspected by a certified technician. Our technicians have an average experience of 10 years. All wearable parts are replaced with new parts, this includes: seals, bearings, synchronizers, O-rings, bushings, bands, gaskets, and gears. Orders placed before 2:00pm are usually shipped on the same business day. Usually within 1-4 business days after the order is processed, depending on your location. One of our operators will give you a more accurate quote based on your area. A $79.00 delivery fee will be added for any transmission sent to a residential address. This fee also applies to core pickups. To avoid these additional charges we offer our customers the option of picking up their transmission at one of our shipping companies nearest terminals. All orders that are to be picked up locally by our customers must be scheduled and pre-paid by speaking to one of our sales reps. A $25.00 handling fee will be assessed to all pickup orders. To keep our prices extremely low, we sell our transmissions at a price based on a rebuild able core being returned to us. This is a temporary deposit that is withheld to ensure that we receive your old transmission back. The amount of money required for this deposit is stated next to the price for each transmission. The core needs to be received within 30 days from the date of purchase to receive your full deposit. After the core has been returned it will be inspected within 2-3 weeks. The core is checked for excessive damages and missing parts. When the inspection has been completed your deposit will be put back on your card. It is recommended you ship your core in the original packaging or something comparable. Your core must be completely assembled, drained of all fluids and free of excessive damages to receive your deposit back. You can arrange a pickup date anytime within the 30 day return period. Your core return information will come with your transmission. If there is no core to exchange, we can just add the deposit amount to the purchase price. In addition, you will only be required to pay the one way shipping fee. Unfortunately we can only accept a core for the same transmission we sent you. shipping the core first might take a slight bit longer, but by doing it this way you will not be required to pay any deposit. 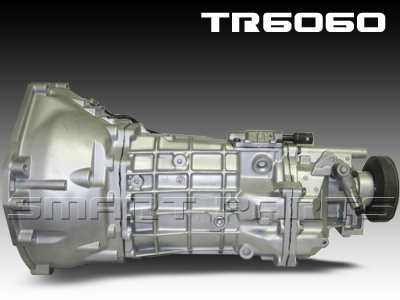 This transmission comes stock with a 12 month warranty. We have several other warranty packages that are available for upgrade. Feel free to ask your sales associate about your warranty options. 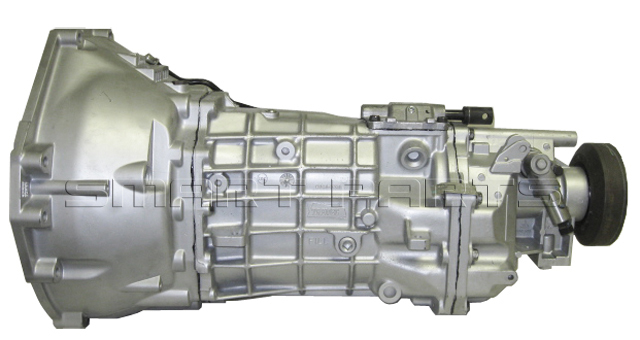 • We do not charge restocking or shipping fees when a transmission needs to be warranted. Restocking and shipping fees are only be applied if a customer wants to return a non defective transmission or is outside the continental United States. Buyers warranty begins at original date of purchase and expires 12 months or 12 thousand miles thereafter. No claims for labor or consequential damages will be accepted.